The Stamp Review Crew has the pleasure of sharing the Nailed It stamp set with you today. 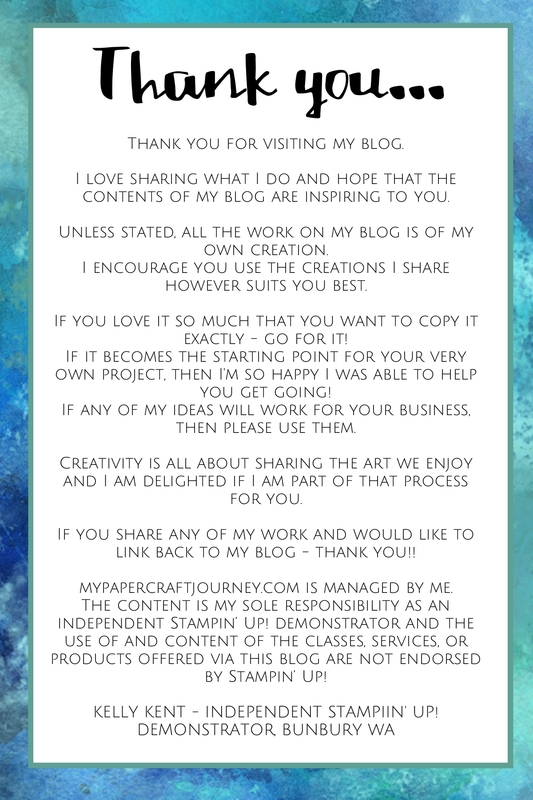 If you’re hopping around the world, I know you were dazzled by Charlet’s amazing project. If you’re starting here, settle in for a great series of “Nailed It” projects. 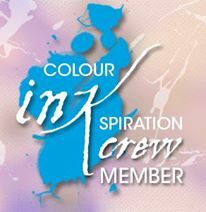 Click on the next button at the end to visit Artisan Design Team Member and SRC chief – Tanya Boser. 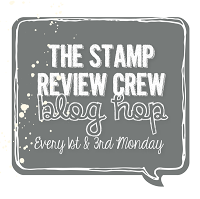 If you get lost at any point – head back to the main Stamp Review Crew blog for a full list of participants. Unfortunately, this amazing set ended up on the retirement list. It came with coordinating framelits – which are now completely sold out. If you’re in Australia, as you read this, there might still be a few wood mount sets available in the online store. Check here. Given that there’s the possibility no matter where you are around the world, you might still be able to buy this stamp set, I have used only the stamps in my 2 projects today. It did require some fussy cutting – but the shapes are easy to cut around! 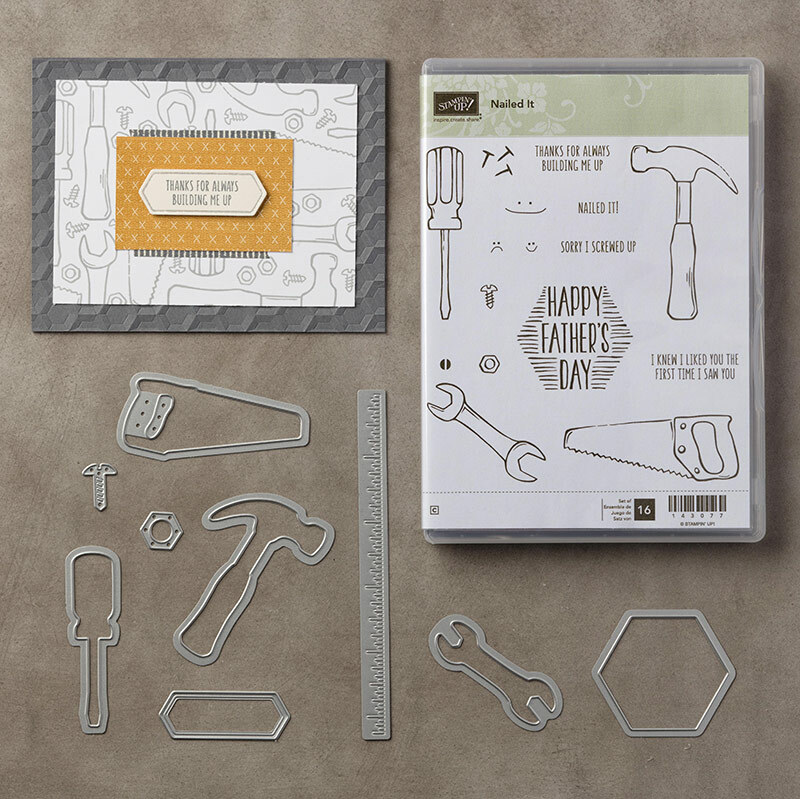 For my first project, I used the stamps & white heat embossing to create a tool background for a Father’s Day card. Father’s Day in some parts of the world is coming up soon – so the large “Happy Father’s Day” hexagon in this set is perfect for the occasion! Plus the tool theme is an obvious winner for a masculine themed card. I’ve added in the coordinating washi from this bundle – which is still available on the retirement list! Along with other great items from the Annual & Occasions catalogue. The second card I am sharing today is based on the inspiration provided by the Global Design Project #084. Participants in this challenge were encouraged to CASE the designer – Michelle Last. The tools seemed like a great way to hang a cute little frame!!! The nails and hammer are fussy cut – a little fussy but an easy way to use this set without framelits. To perk up the sadness around Nailed It not carrying over, I thought it would be a good time to add in another sneak peek. It basically sums up all activity in our house!!! Thank you for joining me for this edition of Stamp Review Crew. 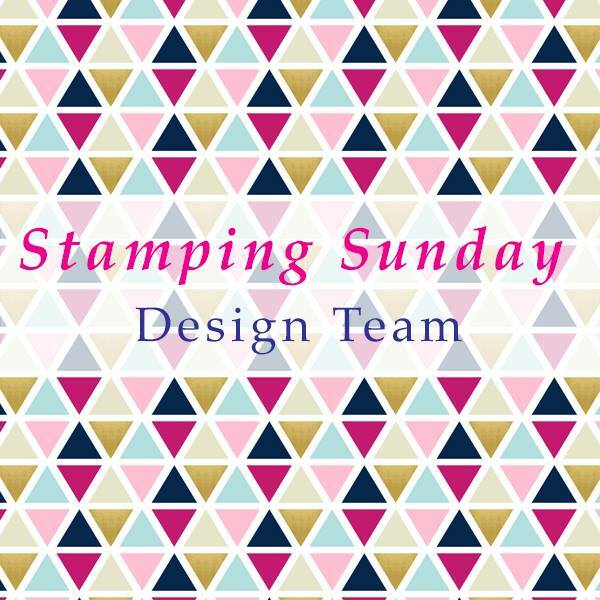 Be sure to click on next and see what the gorgeous & talented Tanya Boser has created with the Nailed It stamp set. If there’s anything on the retirement list that you’re thinking you’d like to own, you’ll want to shop sooner rather than later! While you’re browsing the retirement list in my online store, check out the clearance rack too for some great specials! Next ›It’s My Birthday Month! Kelly, how cute are these cards?! I love the white embossing and the crafting one is just perfect. Love the nail holding up the sign, great idea!! Love the white embossing. But that second card…wow!! SO amazing! Now I have to get that set for sure so I can CAS this card, lol! And the picture of your laundry. Yup, that was my life when the kids still lived here. Both of these cards are awesome! I love the perfect pattern you created with the white embossing. Awesome cards! Love the embossing look on your first. The second one is so cute and I got a good laugh out of the laundry so looks like our house too and sums it up! Love them both! Like the little nail head holding the frame, and I like the Washi Tape peeking out from behind! I have yet to make friends with Washi Tape. Ha, I love your photo of bringing crafting over housework to life. That first card is perfect for those who can grab up the stamp set! Love your cards, the white emboss really makes your 2nd card pop. Think the crafting/housework card is my fav though. Made me smile. Great job!